To be in line with the global increasing demand, Turkish Airlines placed an order for 20 Boeing 737-800s and 15 Boeing 737-900ERs. The next generation aircraft will be delivered with the innovative Sky Interior that brings a new level of design and comfort to passengers. The four aircraft, 2 Boeing 737-800 and 2 Boeing 737-900ER, will be delivered and added to the airline’s fleet in November and December, 2011. Completion of aircraft delivery will be until the end of 2015. The interiors feature light-emitting diodes that create soft blue overhead illumination as well as new cove lighting. The sidewall panels have been sculpted in a new curving pattern that draws the traveler’s eye to the window and the views outside. 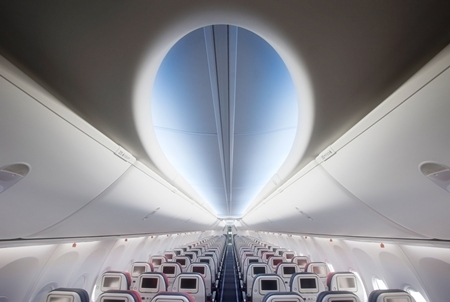 Additionally, new, larger overhead bins provide more storage space and are pivoted in a way that makes use easier, while actually increasing cabin space. Earlier this year Turkish Airlines won several 2011 Skytrax World Airline Awards, including “Best Airline Europe”, “Best Premium Economy Seats” for its Comfort Class seats and “Best Airline Southern Europe”.